Heard this a while back on Elton John's Rocket Hour radio show on Apple Music. It quickly turned into a favorite of mine, and some friends too. Killer moment when the bass and drums kick in. Great, talented artist, this Parker Millsap. In the late summer of 1984, I saw Purple Rain for the first time. I was 14. 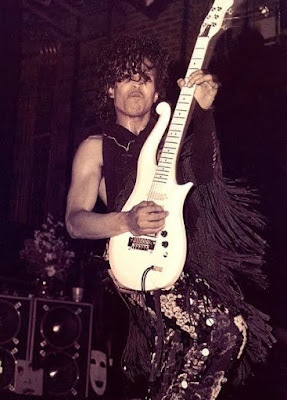 Adolescence had arrived, and was about to be taken for quite a spin with Prince Rogers Nelson at the wheel. Every long time admirer of Prince has their memories. Summer of 1984 (14 years old), driving home from baseball practice with my mom. Passenger side of her Buick Park Avenue. "When Doves Cry" on the radio. Ears perk. "Hmmm," I think, "here's something different."